It's the home stretch this week guys! 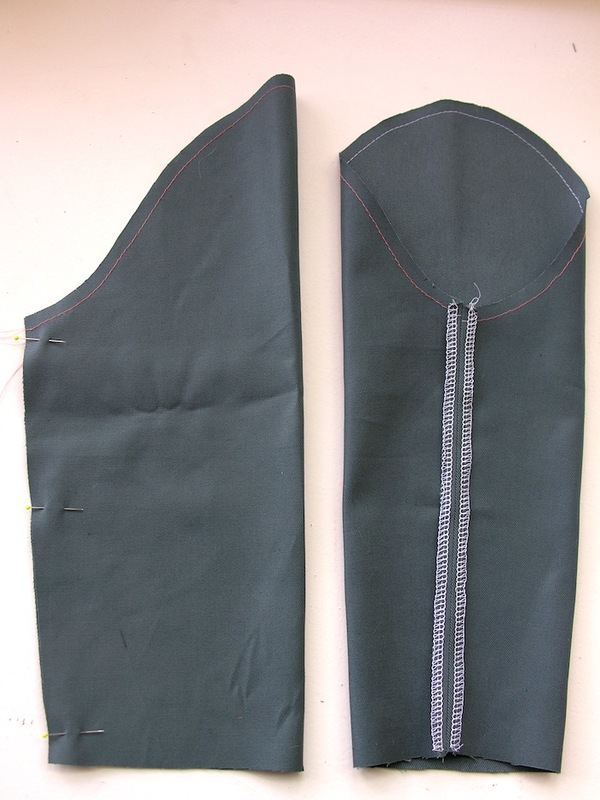 Today we tackle the sleeves - sleeveless variation 3ers, you get a little breather - and the rest of the week will be spent attaching the collar and lapels, inserting the lining and finishing it all off. It's been a while since we were in full Victoria Blazer sampling sweatshop mode, so we're super excited for the two brand new blazers we'll have for the weekend... To be taken to all the Victoria Blazer Sewalong tutorials, click here. With right sides together, fold a sleeve piece in half lengthways and pin down the underarm seam. 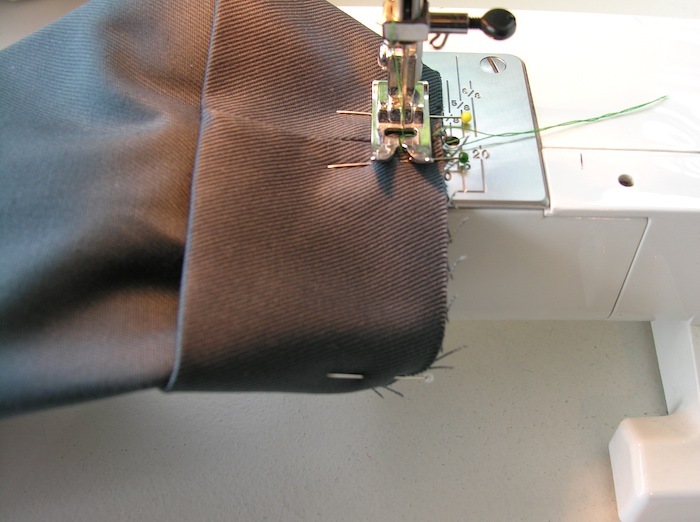 Stitch into place, press the seam open and finish off the excess seam allowance. To get a really nice turned up cuff with all raw edges nicely hidden away, we're going to join the cuffs (that we prepped in the last post) to the sleeve with a French seam. This is nothing to be scared of, trust us! It's easy, quick, and a really good techniche to have under your belt. It is especially useful when sewing with silky or sheer fabrics as you get a really flawless finish inside and out. 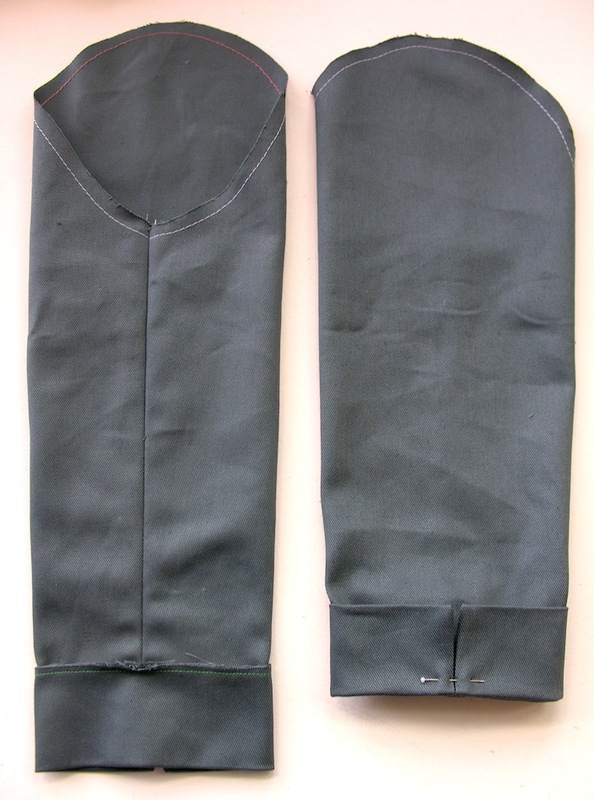 With your sleeve pieces inside out, pin the cuff to the sleeve's raw edge, matching the notch on the cuff to the underarm seam, and the notch on the sleeve will be the point where the cuff ends meet. 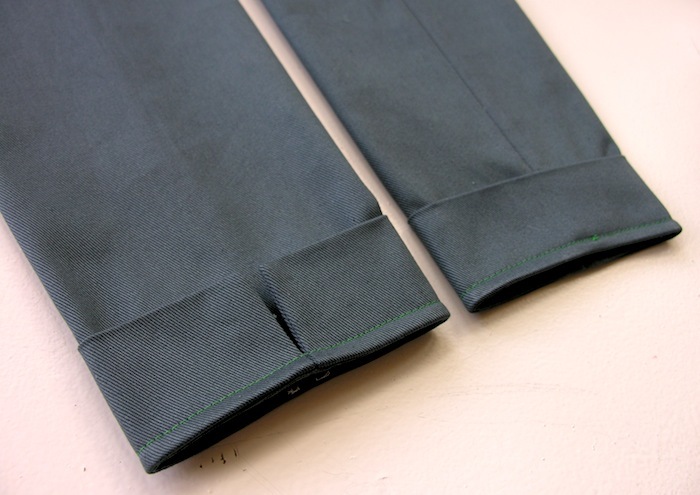 The ends need to meet up perfectly, and this will require a small amount of easing in, so don't worry if it looks like your cuff might be a smidge too small for the sleeve's opening. 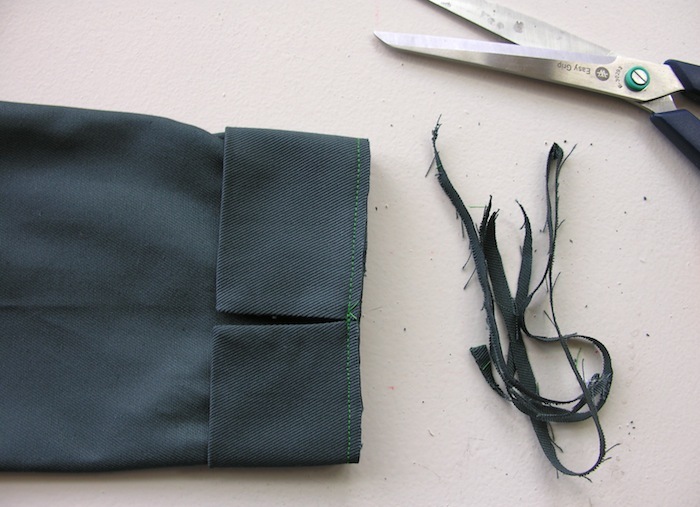 Stitch the cuff into place with a 3/8" or 10mm seam allowance. Most sewing machines will have a piece that comes off the bed, enabling you to slip the sleeve opening over the machine for ease of sewing. 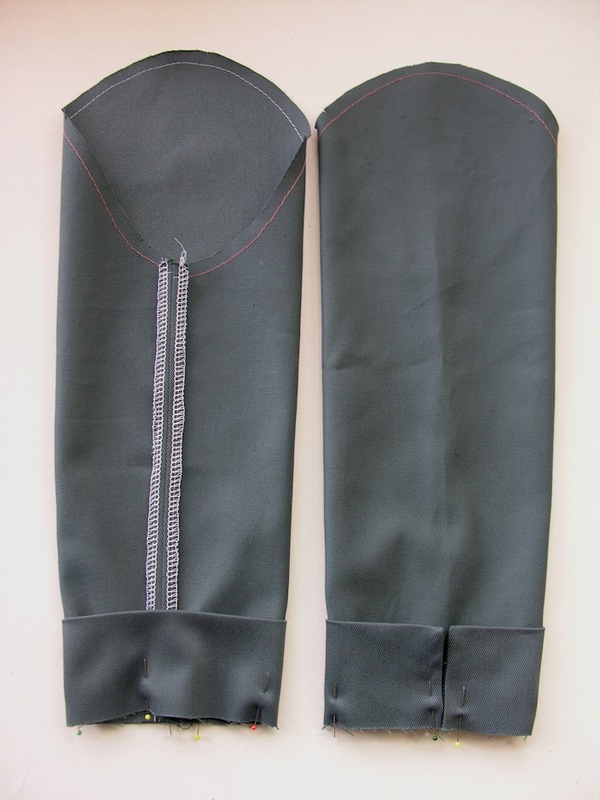 Trim away that excess seam allowance, but not too close to the stitching! Now turn your sleeve to the right side, and turn the cuff out and up. Pin it into place and stitch, this time with 1/4" or 6mm seam allowance. Done! 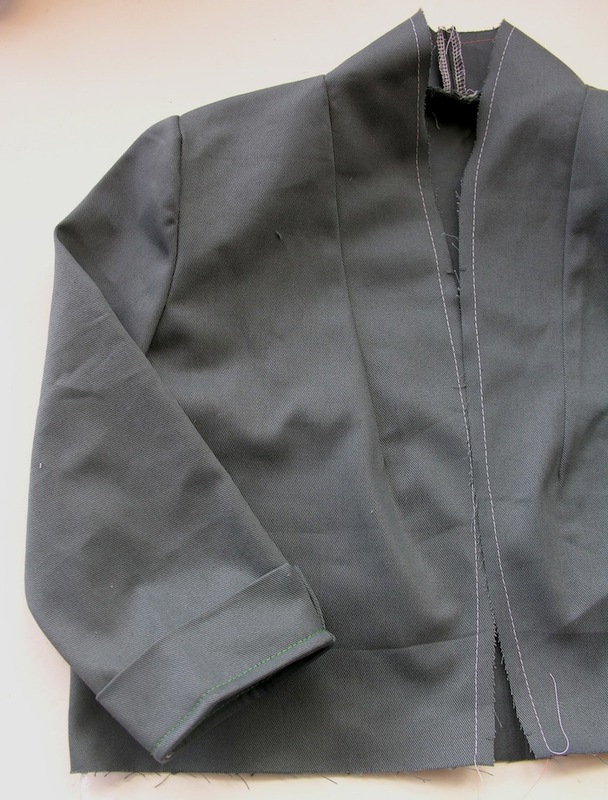 With the shell of your blazer inside out, and your sleeve right side out, place your sleeve inside the shell and pin the sleeve head to the armhole matching notches and underarm seams, as shown in the image below. You'll notice that there is quite a bit of excess in the sleeve head - this simply means that the curve of the sleeve head is slightly bigger than the armhole it has to fit in to. Instead of gathering or ruching the sleeve head to get it to fit, we want you to ease that excess in by gently stretching out the armhole in order to evenly distribute the excess at the sleeve head. 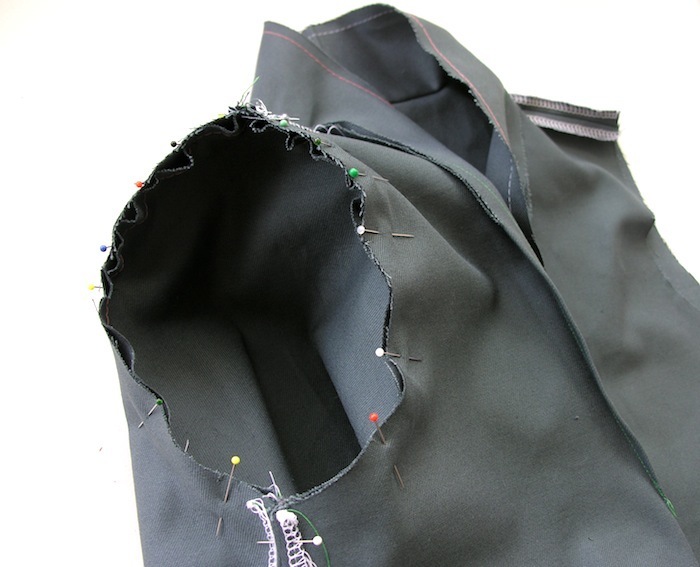 This can be a little tricky - especially if you're using a fabric with hardly any stretch or give - so go slow. The result is really worth it; you'll have a super sharp shoulder without the need for shoulder pads! Now finish off the excess seam allowance, repeat for the other sleeve and you're done! And I know we keep saying this, but go on, try it on and have a little feel of your almost finished blazer...!